One of the great things about running the web site for the town www.bartonuponhumber.org.uk is that you never know what will land in your in box. The other week I had an email from Eldred who lives in Barton in Maryland in the USA. He told me that his town was named after the birth place of its founder which was Barton upon Humber. 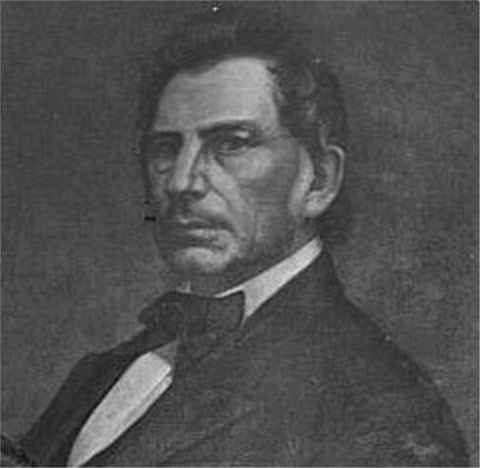 This led me to some research on who this man was. 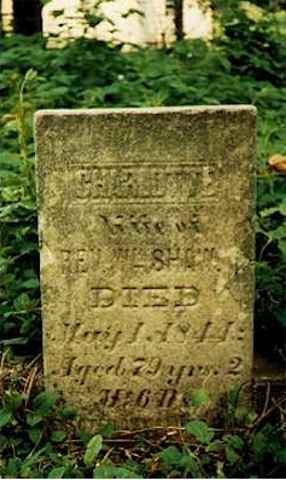 It was in fact a man called William Shaw who was a Methodist Minister and moved to the USA in the late 1700s. I would guess that he was part of the group which met in King Street just prior to them buying land in Cottage Lane in 1788 though he may have been involved in that purchase. 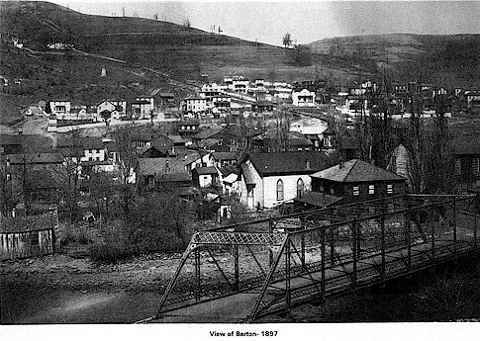 Below is a little of the history of the town of Barton. In the George’s Creek Valley of Allegany County, George’s Creek meanders through several small towns on its way to the Potomac River. One such town is Barton— truly a small town of about six hundred inhabitants. 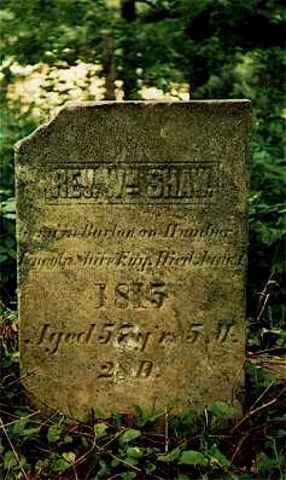 It is named after Barton, England, the birthplace of Reverend William Shaw, who became the first permanent settler in George’s Creek Valley in the late 1700s. He and his son, Major William Shaw, acquired extensive landholdings in the Valley, including the property that Major Shaw laid out in sixty-six lots as the town of Barton. 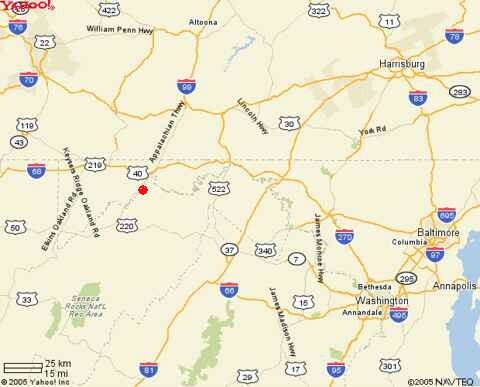 The discovery of coal in the area attracted more settlers. They came from Scotland, Ireland, and Germany, eager to work in the mines. In 1853, the first shipment of coal was made on the newly built Chesapeake and Potomac Railroad. Eventually, all the deep coal mines had been abandoned and replaced by strip mines, several of which still can be seen from the town. Today, most families in Barton are supported by other types of employment. 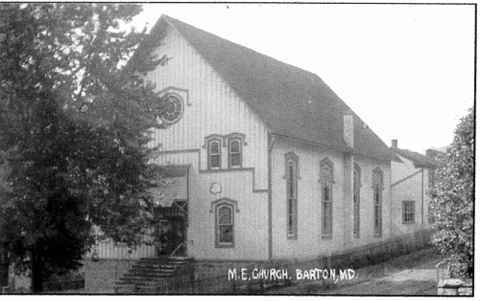 Barton has four churches and many volunteer groups. There is a lighted ball field, a playground, and two parks for use by community groups. A new elementary school was built in 1975 for grades K-5; grades 6-12 were consolidated in nearby towns. Barton has survived floods and fires and still maintains its peaceful and congenial atmosphere. Each year the town celebrates itself with a Party in the Park. That get-together showcases crafts, food, entertainment, and a parade through the centre of town. It serves as an occasion for the people to renew their pride in the beauty of their town and in maintaining their spirit of kindness to all.